This roundup offers a glimpse of the most popular Wellness & Fitness theme cruises. The sailings are only a few of the many options available to fitness enthusiasts; they are not intended to serve as a comprehensive schedule. 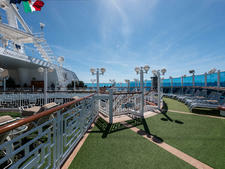 Be sure to check each theme cruise's website for updates, and bear in mind some sell out fast. Calling all "CrossFitters": The ever-growing community is hitting the high seas, with a chance to cruise -- and train -- with the fitness regimen's top athletes. Dubbed WOD on the Waves, the cruise will allow CrossFit enthusiasts to enjoy a quick Caribbean getaway without sacrificing training time. Fitness classes will include aerobic capacity, barbell technique, bodyweight fitness, dumbbell, outdoor calisthenics, penance and sandbag; while seminars ranging from nutrition and other skill development seminars also will be available. Among the athletes onboard will be Rich Froning, owner of CrossFit Mayhem, four-time individual winner of the Reebok CrossFit Games and four-time Fittest Man on Earth; Jen Smith, three-time Reebok CrossFit Games athlete; Josh Bridges, CrossFit Games athlete and retired Navy Seal; and James Hobart, CrossFit Games athlete and co-owner and coach of CrossFit Boston. The cruise takes place on Royal Caribbean's Mariner of the Seas and will sail from Miami roundtrip to Nassau and the line's private island in the Bahamas, CocoCay. Fares start at $799 per person, for an inside cabin, based on double occupancy. Experts in holistic living and natural health join together for the 16th annual Holistic Holiday at Sea. Among the guest presenters onboard will be holistic and alternative health experts Dr. Caldwell Esselstyn, an award-winning physician, author, former Army surgeon and Olympic rowing champion who has been featured on CNN; Brenda Davis, RD, a registered dietitian, author and Vegetarian Hall of Famer; and Michael Greger, M.D., a physician, New York Times bestselling author and founding member of the American College of Lifestyle Medicine. 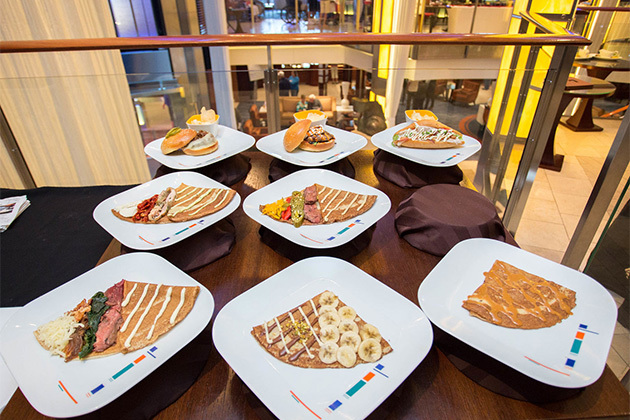 For seven nights roundtrip from Miami, the ship -- MSC Divina -- will set the stage for a variety of lectures, cooking classes and vegan, vegetarian and macrobiotic cuisine. 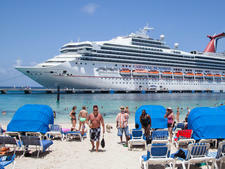 The itinerary includes stops in Ocho Rios, Jamaica; Aruba; Cartagena, Colombia; Colon, Panama; and Mexico's Costa Maya and Cozumel. Fares start at $1,549 per person, for an inside cabin, based on double occupancy. Trade in the treadmill for natural running tracks in Alaska or the Caribbean. The Great Alaskan Running Cruise, as featured in Runner's World Magazine, will take runners (and walkers) next summer on the trails of Anchorage, Juneau and Ketchikan as well as a Scavenger Hunt Amazing Race in Skagway. Standout routes include along the Gastineau Channel near Mendenhall Glacier and through the Tongass National Forest. Runners also can relax and rejuvenate while the ship sails through scenic Hubbard Glacier and Icy Strait Point. 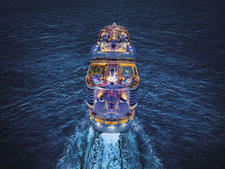 The cruise will take place on Royal Caribbean's Radiance of the Seas. Fares start at $2,188 per person, for an inside cabin, based on double occupancy. For those who prefer running in warmer climates, fitness tour operator Marathon Expeditions is hosting the Caribbean Running Cruise this winter. 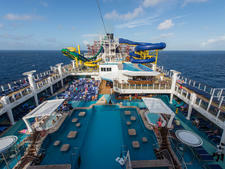 Highlights of this option include a trail run/walk in Honduras; a 5K or 10K run/walk in Costa Maya, Mexico, followed by a beach party; a 5K or 10K in the Bahamas; and an early morning workout on the top deck of the ship, Royal Caribbean's brand-new Symphony of the Seas. Fares start at $1,744 per person, for an inside cabin, based on double occupancy.